Teeth cleaning in professional terms is referred to as prophylaxis, but you likely don’t hear dentists or hygienists throw that word around very often at the dental offices you have been to. All you want is your teeth and gums to be healthy, and so professional cleanings are critically important to remove the tartar, plaque, and stains that you can’t with your everyday toothbrush. Gum disease is preventable by getting routine professional cleanings two to four times per year, depending on your dental hygienist’s recommendation. Your hygienist does scaling, polishing, restorations if needed, and may also do an oral cancer screening from time to time. They also provide helpful knowledge so that you can maximize your brushing and flossing efforts, and can explain treatments and even offer up nutritional tips and advice. There are a few reasons for having your teeth professionally cleaned at least twice per year, and we outline some of the key benefits below. Above and below the gum line a collection of plaque and tartar can buildup, and cause serious periodontal issues if not treated regularly. You can have the best electric toothbrush on the market to brush like a pro, and floss just like a hygienist does, but removing all bacteria and deposits from gum pockets just isn’t possible with everyday oral care. Specialized dental equipment is required to identify and remove the tough to reach plaque and tartar accumulation. You wouldn’t realize it, but in addition to potential mouth related problems, a wide array of health issues including diabetes and kidney concerns are first identified by dentists. Advice can be offered to improve a patient’s home care routine to help minimize the risk of oral and overall health problems. Bad breath is often the result of periodontal issues setting in, gum infection, and tiny rotting food pieces hiding below the gum line. 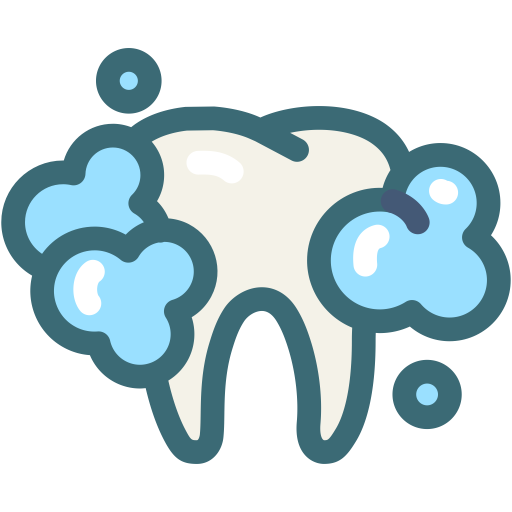 Removing bacteria, calculus, and plaque helps to greatly improve the issue of bad breath, and helps to also alleviate any irritation that may be happening. Our mandate is always to be as gentle as possible so you can be comfortable and relaxed. The periodontal exam is done with little or no discomfort. When you have teeth that are stained or yellowing it’s not too motivating to smile big for pictures, or while in the presence of friends, family, or coworkers. Teeth cleaning from a hygienist can effectively remove all of the impurities to reveal your beautiful white teeth, and so you can smile with confidence again. Supragingival cleaning – Scaling tools are used to clean the area above the gum line to remove plaque and calculus. Subgingival cleaning – This step is vital for periodontal disease patients to remove calculus from beneath the gum line, and from the gum pockets. Root planning – Smoothing of the tooth root is done to remove any other remaining bacteria. Medication – At this point in the treatment, an antimicrobial or antibiotic cream is applied to gum pockets, helping to heal and reduce discomfort in the pockets. X-rays – Routine X-rays bring light to periodontal disease to show any bone and gum recession.